A "democrat" is of course most likely to be a member of the American Democratic Party, though he or she could also be a member or proponent of some other democratic system. 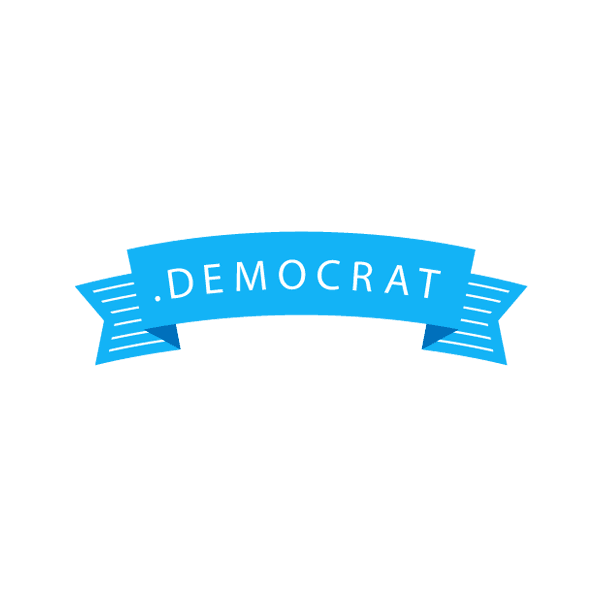 The .democrat top-level domain has broad-use applications, providing a recognizable extension and making it easier to build awareness. This TLD is perfect for any democratic organization, from city and county governments to small-scale democracies such as student governments. When you register your .democrat domain name through Namecheap, you'll be joining the million-plus satisfied customers who already enjoy our award-winning customer service and support. We're pleased to include WhoisGuard privacy protection, Dynamic DNS support, URL and email forwarding, and other useful features, all at no extra charge.